I’m happy to inform I’ve been selected and award the MVP award by Microsoft! My main subjects has been server virtualization and server clustering. Most of my activities and blogs are related to the HYPER-V though I have a strong attraction to clustering due to the close relationship between 2 technologies most of the time. Hats off for everyone who has been supportive for me and encourage on my activities. I was keep in counting the days until the Apple release the free IOS 4 update for the iPod devices. If I’m correct June 22nd they released the update OS and I managed to upgrade my iTouch OS on 3 a.m.! Everything is normal for me initially until I notice how quickly the batter drain after 1-2 hours usage of the device. Under the previous OS I didn’t experienced of this apart from occasional playing of SNIPER 3D game. Of course anyone can understand the graphic intensive games like that can drain the juice very quickly from that device. After some forum search I found out I’m not the only moron screaming and blaming Apple for this issues. Finally I decided to do a hard reset of the device. Most of the forums has clearly mention to backup the data and settings and proceed with that. But as a thumb rule I didn’t do that 🙂 But found out I didn’t loose the data but now the device is functioning smoothly with longer battery life. After the main buzz of the server virtualization the next key thing in the industry is Desktop virtualization or else known as VDI. Some of the enterprise companies looking at this solution as a way to increase their hardware life cycle and for some it is a method to tightly control the access point for their central data access. Never the less this is a important technology for the Service partners as well. To have a better idea of how to size this solution for customers using HYPER-V and Windows 2008 R2 connection broker Microsoft has released the new capacity planning document. named as “Remote Desktop Virtualization host Capacity Planning in Windows Server 2008 R2”. You can get a copy of this article from here. 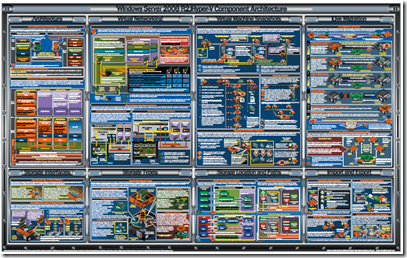 If you’re interested in knowing more detail on HYPER-V information under the hood then you’ll find the following poster is for you. Apart from techies even pre sales can find this as useful explaining their customers how exactly HYPER-V function in various scenarios. You can download if from here. hi everyone Apple has released the apple iPad officially. According the web reviews people has been awaiting in the queue to get their hands into this neat device. Apple iPad is next generation device which is more focus on using the sensor technology. Since is built with wifi and 3G technology the information access capability is limitless. Anyway I think it’s better to have a look into what is inside this cool gadget. You can find step by step guide how to disassemble this device over here. Got my hands into the long awaited apple iTouch yesterday. This is 32 GB version. Even though they have 3rd generation iTouch on 8 GB it’s entire design is on 2nd generation. As a technical point of view, first thing I did is upgrade the firmware 🙂 Well tough to say what kind of improvement has it made since I barely test it even for few hours. So far I’m loving all the features in it specially the wifi access availability and the mail access. Apart from that I really like the idea of voice memos. Even though this is introduced as MP3 player I think it has the essential tools for day to day work. One disappointment is missing of the camera. I really wish Apple would have consider that into this device since it is a essential part. Let’s put it this way, so far they have given all the utilities you can imagine of and even given the apps to edit pictures even but missing the camera! But again before moving to this I did some web research and found of lots of positive feedback on it. This is something i have seen in the tech forums and as well as tried by myself. So it would be ideal to share this knowledge with others to get benefited. one fundamental rule in computer world is security vs productivity balance. Running SQL on a domain controller will expose the AD for too many issues. Following information has been abstracted from various online resources. -On Windows Server 2003, SQL Server services can run under a domain account or a local system account. -After SQL Server is installed on a computer, you cannot change the computer from a domain member to a domain controller. You must uninstall SQL Server before you change the host computer to a domain controller. -After SQL Server is installed on a computer, you cannot change the computer from a domain controller to a domain member. You must uninstall SQL Server before you change the host computer to a domain member. -SQL Server failover cluster instances are not supported where cluster nodes are domain controllers. -SQL Server is not supported on a read-only domain controller.